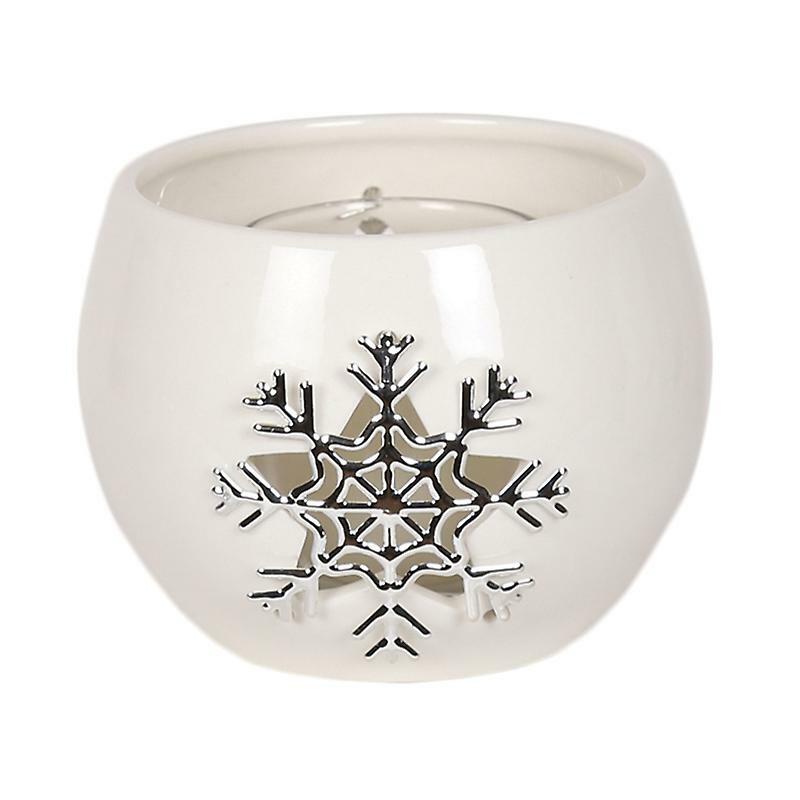 Add a Christmassy touch to your home with this charming range from Aromatize. Porcelain tealight holder with glass insert. Featuring a cut-out metal snowflake design. This subtle design is a simple, yet charming way to bring some festivity into your home. Would make a great gift or stocking filler. Measures approximately Dia11cm x H8cm. Wipe clean with a soft cloth. This product can become very hot - allow time to cool before attempting to touch or move. Comes in a plain box. Other designs available.